We have been providinghome and business owners in Larkswood E4 with a skilled scrubbing, polishing, sealing , hard floor cleaning, anti-slip protection service and tile recoat since Excellent Carpet Cleaning was founded back in 2005. 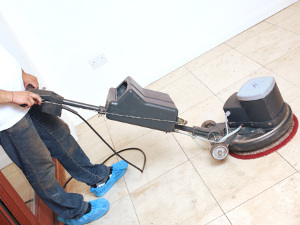 We are well-known for our high quality and reliable hard floor cleaning and polishing services, tile and grout cleaning, grout colour sealing and recolouring, restoration of ceramic and porcelain hard floors as well as for our professional vinyl floor cleaning, specialized stone and slate floor cleaning, professional floor sealing and polishing and the hard floor sanding service. During the years, we have become one of the top preferred local suppliers of commercial and domestic hard floor maintenance and cleaning services. Our organization delivers expert driveway cleaning, jet washing, patio cleaning and other exterior cleaning of paths, decks and drives. We have powerful pressure washing equipments, and will help make your outdoor space look rejuvenated. So, if your indoor or outdoor hard floor requires cleaning, ensure you book our jet washing and hard floor cleaning services! We have established a client support service to assign and process your booking requests within Two hours of your call to 020 3404 0500 or your online booking request. You don't need to pay a deposit. The transactions of the set price tag is performed after we are done with the cleaning. Our regular customers, those who reserve early ahead and also the nearby estate firms and property owners are given preferential prices. Clients who book a combination of more than one of our expert services will get sizeable discount rates. Book our hard floor cleaning and jet washing service right now and allow us make your hard floor look as good as brand new yet again!